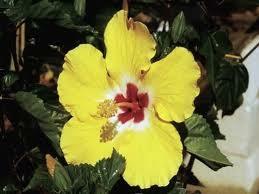 Background Hibiscus tiliaceus L. (Malvaceae) is used in postpartum disorders. Our purpose was to examine the antidepressant, anxiolytic and sedative actions of the methanol extract of H. tiliaceus flowers using animal models. Methods Adult male Swiss albino mice were treated with saline, standard drugs or methanol extract of H. tiliaceus and then subjected to behavioral tests. The forced swimming and tail suspension tests were used as predictive animal models of antidepressant activity, where the time of immobility was considered. The animals were submitted to the elevated plus-maze and ketamine-induced sleeping time to assess anxiolytic and sedative activities, respectively. Results Methanol extract of H. tiliaceus significantly decreased the duration of immobility in both animal models of antidepressant activity, forced swimming and tail suspension tests. This extract did not potentiate the effect of ketamine-induced hypnosis, as determined by the time to onset and duration of sleeping time. Conclusion Our results indicate an antidepressant-like profile of action for the extract of Hibiscus tiliaceus without sedative side effect.